Germany is a rich and powerful European country. The area of Germany is 357,021 sq.km. and the population is about 82 million. Berlin is the capital city of Germany. 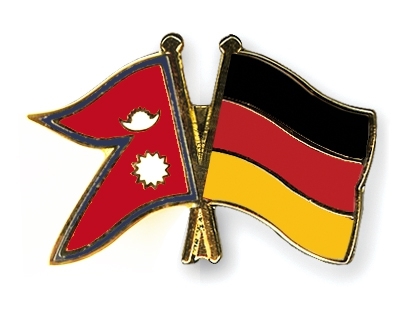 The diplomatic relation between Germany and Nepal was established on April 4, 1958. Most of the carpets manufactured in Nepal are exported to Germany. The German government provides scholarships to Nepalese students. Every years, German tourists visit Nepal in huge number. Germany has been helping Nepal in the field of agriculture and health. 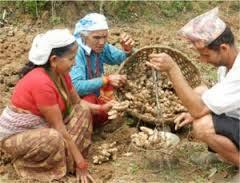 It provides quality seeds and fertilizers to the farmers. It has also assisted in protecting the natural environment and the arts of Nepal. The forest of Chure is being protected by the aid of Germany. 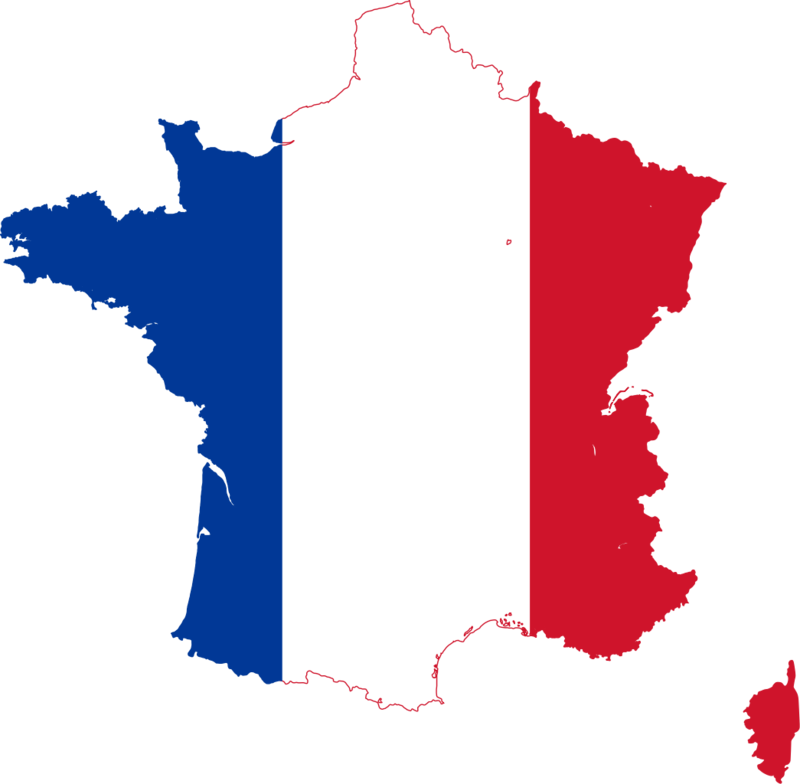 France is the largest country of Western Europe with area of 551,458 sq.km. Its neighboring countries are Spain, Italy, Switzerland, Luxembourg and Belgium. Alps, Pyrenees are the major mountains, Armorica and Central Massif are the major plateaus and Rhine, Seine, Loire and Gionde are the major rivers. Paris is the capital city of the France where 300m tall Eiffel Tower stands. About 25% of the people are involved in agriculture. Apple, plum, potato, etc. are the major crops. Moreover, cattle rearing and dairy farming are also major occupations. The major exports of France are machines, textiles, cosmetics, chemicals, etc. whereas the major imports are metals, rubber, petroleum, oil seeds, sugar, etc. 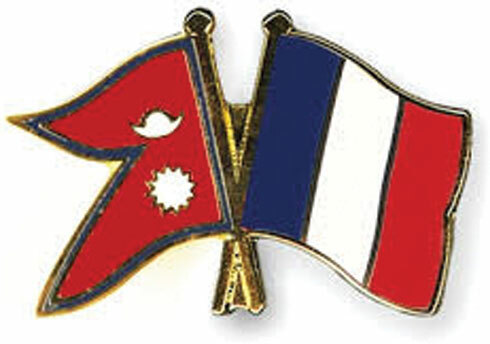 Nepal has a very old relation with France that ages about 180 years. During the training of Nepalese soldiers, Bhimsen Thapa brought French experts. Jung Bahadur Rana visited France in 1907 BS. The French embassy was established on April 20, 1949. France has been helping Nepal with economic and technological aid in different fields. Moreover, Nepalese students visit France for higher studies. Village development and hydroelectricity development are also being carried out in effect with cooperation of France. When was French embassy established in nepal? Which of the following is not the export of France ? Which is noted production of France? What is capital of France? What is famous landmark of France? What presence of French is in Kathmandu apart from their embassy? 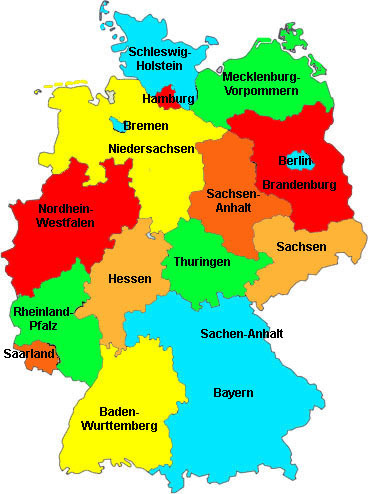 What is capital of Germany? Where do most of Nepali carpet are exported to? What hydro project did Germans built in Nepal? Nepal's oldest diplomatic ties is with? Any Questions on 'Relation of Nepal with France and Germany '?